Geographically speaking, Europe is the second smallest continent which roughly comprises just 2% of the earth. Though it might be small, the said continent is quite populous. Europe is considered as the world’s richest continent when it comes to science and social studies. Tracing back Europe’s ancestry, European Americans (Euro-Americans) were basically Americans of European ancestry. These people descended from the first European settlers in America and from more recent European arrivals. During the Classical Antiquity period, Ancient Greece brought great minds to the country, like Socrates and Plato. King Philip II had united the Greek states. His son, on the other hand, managed to extend the great cultures to other neighboring states. Later, the Roman Empire came to dominate the entire Mediterranean sea and had befallen--- this marked the start of the Middle Ages. In this period, conflicts and dark times are more rampant. However, the Early Modern Europe period made the country’s darkest night into a bright morning. During this period, the modern continent had risen. Renaissance came to life flourishing philosophy, arts, science and social studies. Great men like Michelangelo, Da Vinci and many others came from this era. In 15th century, European nations began to explore the world which led to the discovery of America and other countries. During this period, trade and mercantilism were greatly prospered. In Greek myth, it was also believed that Europe is named after a Phoenician princess named Europa. According to such tale, great god Zeus loves seeing Phoenician princess Europa bathing herself by the sea shore. By that, he seduced the princess by disguising himself as a white bull and took the princess into the island of Crete. The princess then became the Greek god Zeus’ lover and bore him three sons. Also, the history of Ukraine which is the emergence of the dubbed “City of Brides” to Nikolaev city, had a big impact as to what Europe is today. This term has come to life when a certain ruler of Nikolaev used to call for beautiful women and made them brides of the town’s shipbuilders. The shipbuilders had chosen wives for themselves among those beautiful women in Nikolaev. When they have already chosen whom they want to be wedded to, they were brought to the church for the ceremony. This occurrence was the reason why Nikolaev is called the City of Brides. and meet beautiful European women. 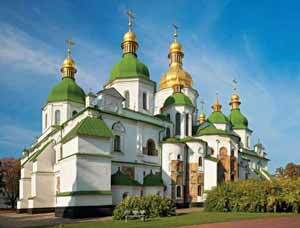 Saint Sophia’s Cathedral is the oldest standing church in Kiev. It was built in 1037 by Prince Yaroslav the Wise. The church was named after the famous Cathedral in Constantinople. Prince Yaroslav actually made the project to commemorate the site of a victory in Kyivan Rus and to glorify Christianity. Since then, the place became a holy place of worship for all the people in Kiev. This cathedral is one of Kiev’s best known landmarks. Be sure to stop by at St. Sophia’s Cathedral when you visit Europe. at one of the most scenic locations in Europe. 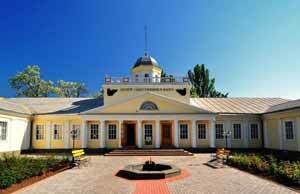 The Museum of Shipbuilding and Fleet is the only museum of shipbuilding in Ukraine. It is located at Nikolaev and is built in the ancient Russian classic style. According to its history, the ancient house where the museum is situated is a monument of history and architecture. The said museum served as the premises of the main commanders of the Black Sea Fleet during 1794-1900. Check this museum out when you travel to Europe and get to know the rich shipbuilding history of Nikolaev! Europe as you join our singles tours! St. 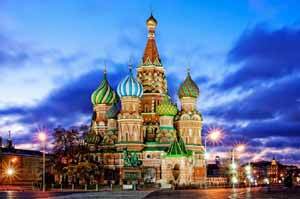 Basil Cathedral is located at Red Square in Moscow, Russia. It was built by Ivan Vasilyevich, the grandson of Ivan the Great. The cathedral is made up of nine chapels in one edifice. Historically, the original color of the cathedral is purely white. It was said to be matched with the white stone of Kremlin. It was built on July 12, 1561 and was considered as the tallest establishment in Russia before Ivan the Great Bell Tower is completed. Over the years, the facade of the cathedral was repainted with brilliant colors which can be seen at present. The pigment of the church is said to be taken from the Book of Revelation. Because of its new appearance, it has become one of the centerpieces in Red Square; people around the world find a way to see it for themselves. The cathedral is the most visited place in Russia since there is no other unique structure on earth than this one. 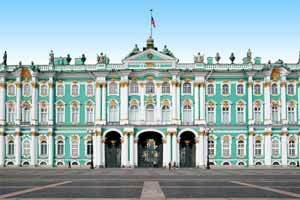 The Hermitage Museum is the largest art gallery in the entire Russia and the most adored and visited museum in the world. It was constructed way back 1852 and was founded by Catherine the Great in 1764. With a taste of classicity, it is known as one of the oldest and largest museums worldwide. With its size, it has a total of 1,057 rooms. According to the tourists who got the chance to spend time in the museum, 22 kilometers will be needed for a walk to see all the parts of the Hermitage. The massive museum art has a collection of over 3 million items. If you are planning to visit Europe, make sure to stop by those mentioned destinations and meet beautiful European women for marriage. Women in Europe are not just good looking but friendly as well. Register now for FREE to meet, date and marry one of these women. By registering, get a chance to win a free tour in Europe! Browse our site to get information as to how to use our service. European women! You have to meet her to marry her! As mentioned above, these women are one of the most-sought after brides by foreign men. Why? It is simply because they are ideal wives. They are tough and independent. The good traits they possess make them a picture-perfect kind of wives. Due to that, you won’t regret marrying one. Be one of our clients now so you will be able to meet, date and marry the woman of your interest. Try your best luck today! Ukrainian and Russian women have similar virtues in life-- one of the traits that best describe European women is being family-oriented. As most women in the world believe that one main purpose of being here is to be a wife, bear children and devote themselves to their own family. These women value family ties greatly and also considers it as one of the most important aspects in life. European women are family saviors. Once they fall in love, they won’t give up easily. They love unconditionally and once you win her heart, they will surely pamper you with well-favored affection. Moreover, they stay loyal to the person they are committed to. 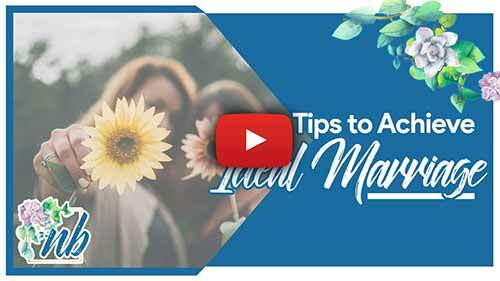 The only barrier you will get from dating these ladies is cultural variation; however, this can be worked if both of you are open-minded and practical enough. Moreover, these ladies are not just good at making themselves look great but also making a house into a home. This means you’ll have a place you can call a home once you find your European bride. It doesn’t end there-- they are excellent cooks too. Thus, you won’t be left with a starving stomach, but a satisfied one instead. In order to meet, date and marry your future bride, register here for free and join our singles tours now!